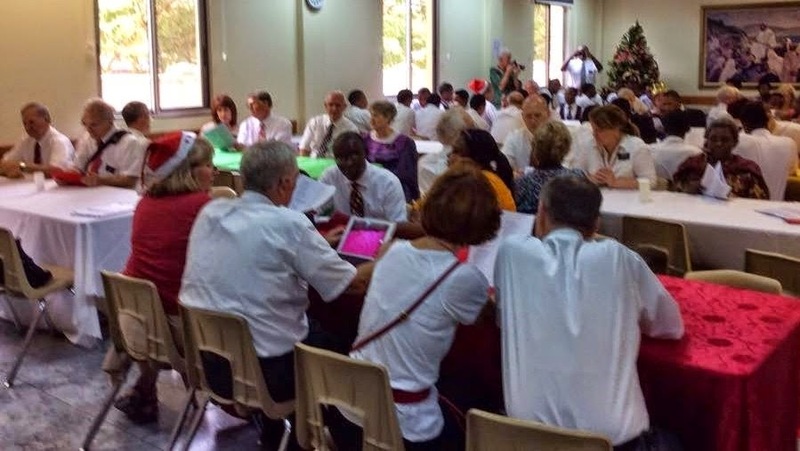 Our Ghana area senior missionaries, along with our MTC missionaries, met together and had a nice dinner in our cafeteria as part of our Christmas celebration. Since we had opportunities after dinner to put on a Christmas presentation, I wanted to make a special birthday celebration in honor of my dad, Earl Malmrose, who would have celebrated his 100th birthday this year on December 25 - Christmas day. As a young child, I remember that every Christmas our family met in the living room at home, and my dad always played a special song recorded by band leader Spike Jones who's band played that song. In honor of a special family tradition, I played the Spike Jones version of the song and mimicked the singer. Part way through my presentation one of our elders decided to record it on his cell phone, a copy of which we obtained and have here published. You'll enjoy it. Dear dad, thanks for the wonderful memories! 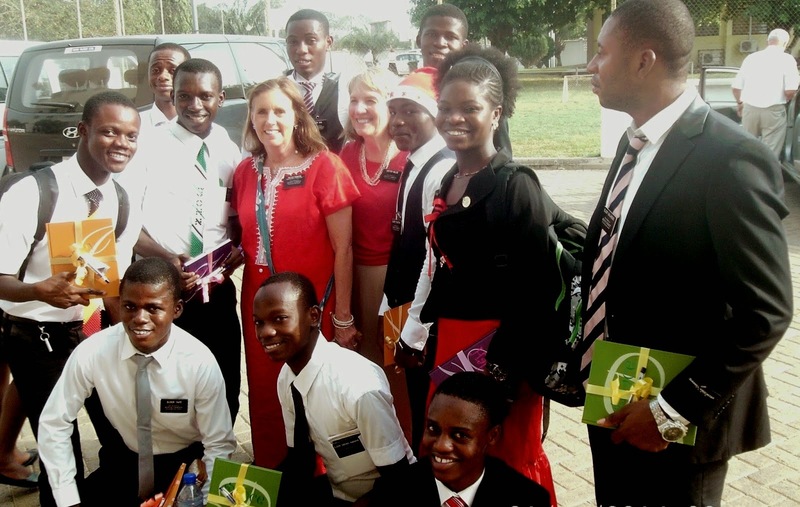 As the time for “graduation” draws near, the missionaries get more and more excited. It is especially true for our 6 weekers. 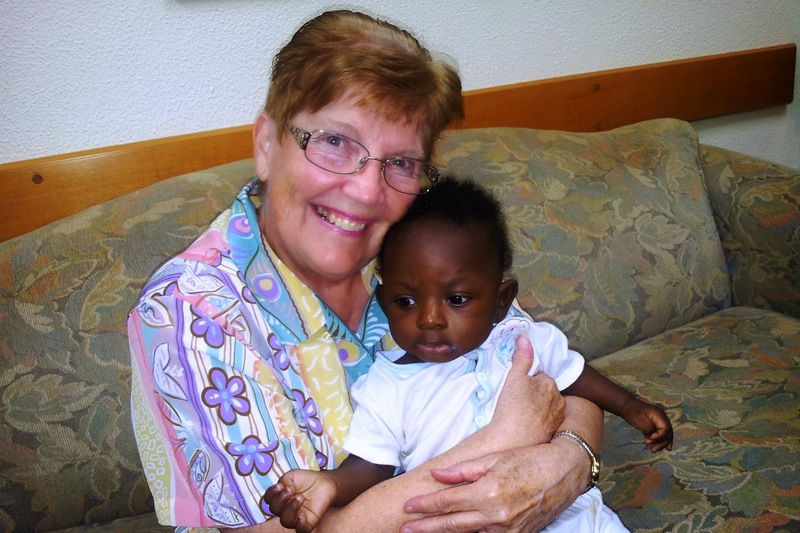 We get to know them better than those who are here for less than 2 weeks, but we love them all. 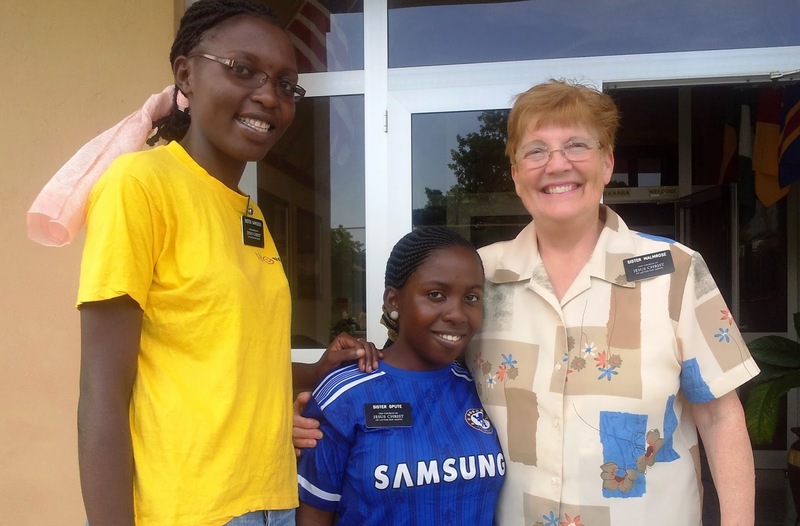 Of course, our sister missionaries hold a special place in our hearts. Eventually, it is time to say our goodbyes and pray for great success in their future. We love them all. As you can see, they come in all shapes and sizes and that’s the long and the short of it. Hands down, they are wonderful. They come in various sizes and shapes. Well, we are still waiting for our white Christmas to hit, but since it is around 85 degrees every day, we don’t think that is going to happen soon. 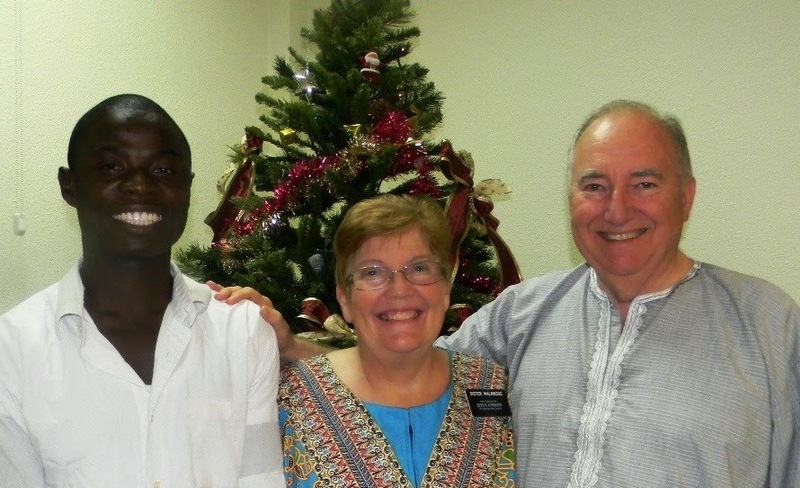 Nevertheless, we had a nice Christmas with our missionaries and our missionary couple friends. We will include more information and some pictures later in this update. No, this isn’t Walmart, but the little food store we shop at regularly. Santa could sing too. It was fun. We did say our goodbyes to some of our dear missionaries, who are ready to go into the mission field to serve the Lord. 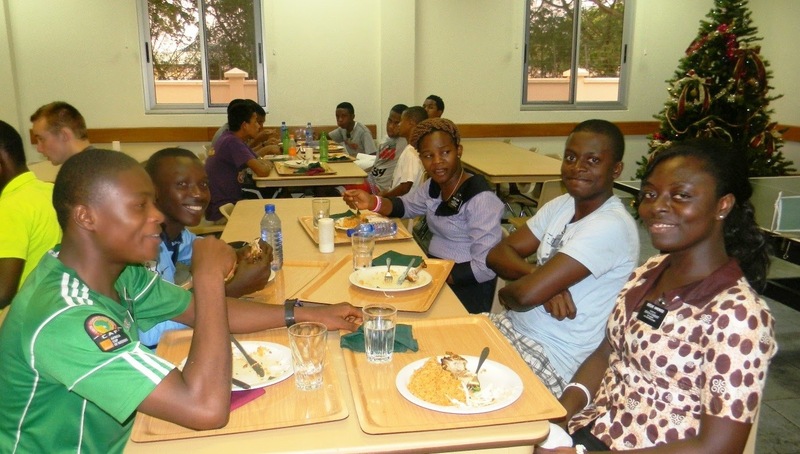 Some of them have learned a new language, and others have learned the basic lessons and procedures they are to follow. 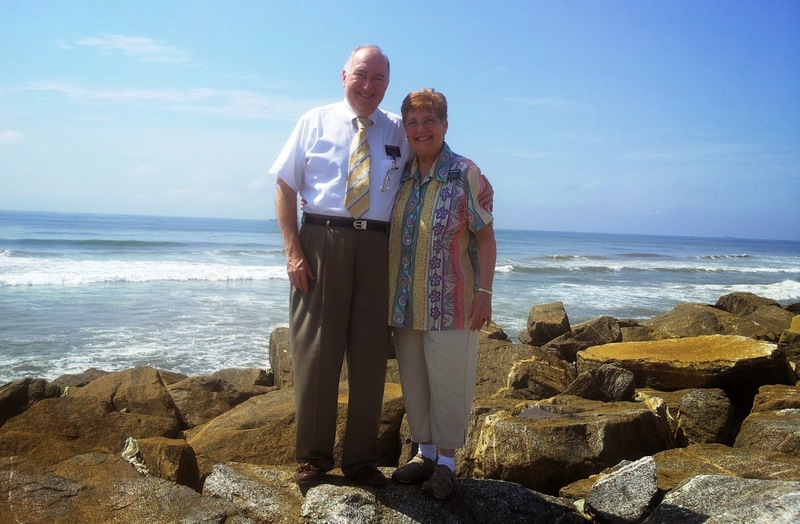 Most of all, they have felt the sweet Spirit of the Gospel in their lives and we loved being part of that. “The field is black and ready to harvest”. 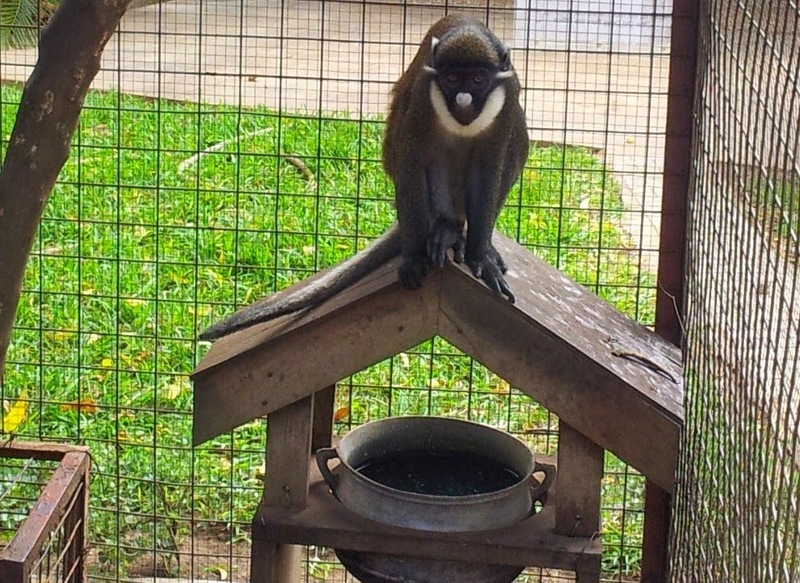 They have a neat sense of humor as well as a sweet attitude toward life. 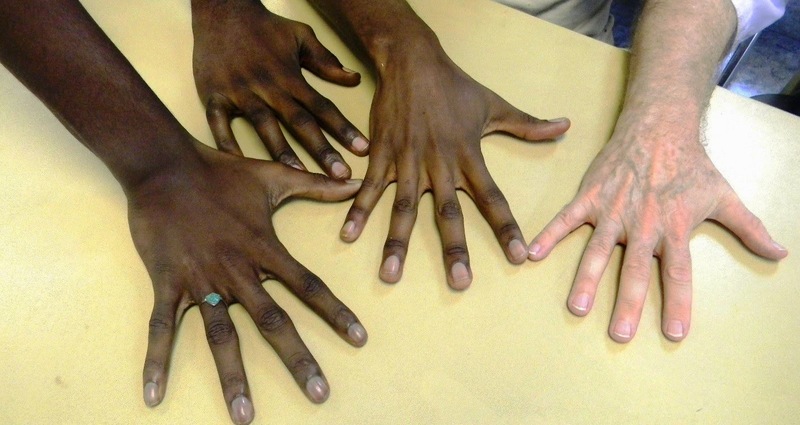 They come in all shapes and colors, as you can see. We love them all. Christmas week was very busy for us. 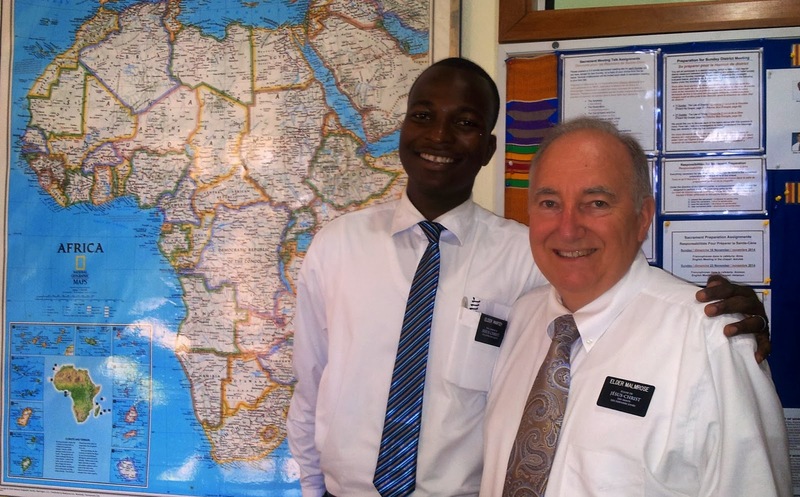 Many of our missionaries are in the field now. 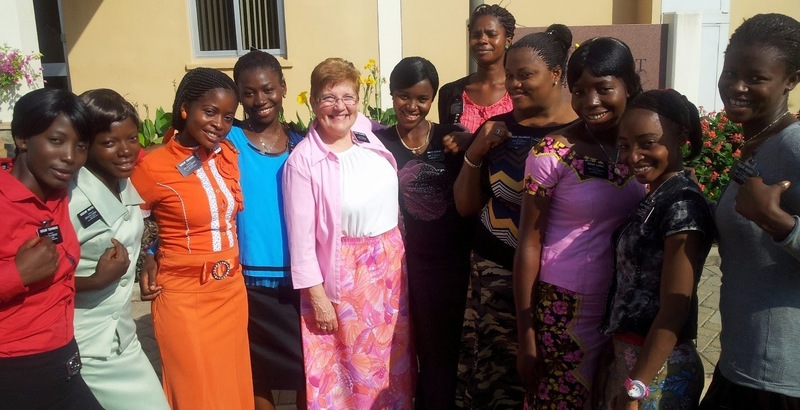 We do have our 6 week language missionaries with us, and other non-language missionaries are coming in regularly. 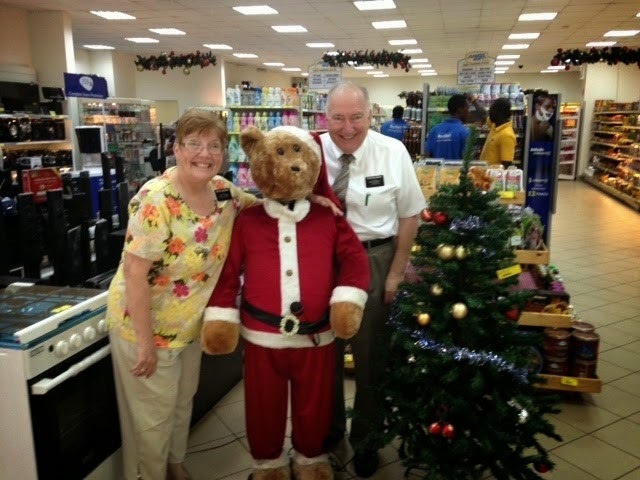 Christmas was busy, even though we didn’t have as many missionaries as we usually have. Many of them wait until after Christmas to come into the field. 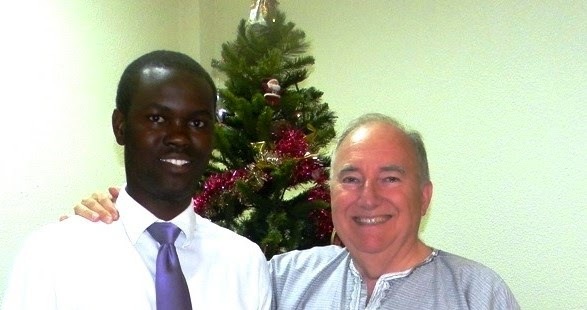 Nevertheless, we had a very busy week getting ready for our Christmas celebrations. 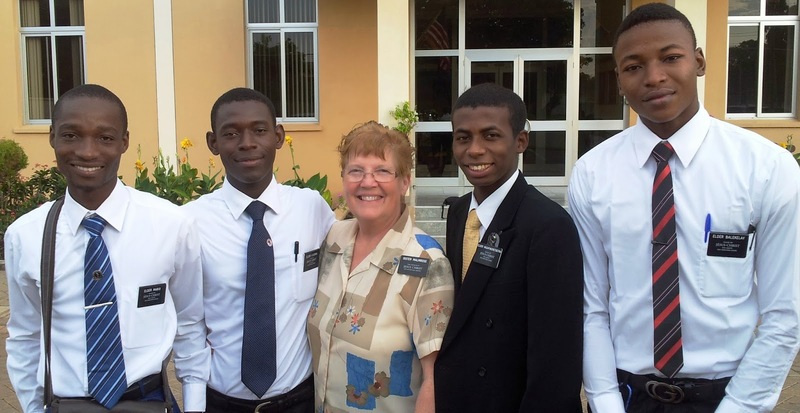 We invited the missionaries who are serving in the Accra Mission, to come for a Preparation Day, at the MTC. They came in sports clothes and had a fun day with programs and sports for the day. We remembered that Devin Despain is serving his mission here, so we went out to the sports field, to see if we could find him. Sure enough, there he was. What fun to see someone from home. He said he will be home before us, so he can be at our homecoming. What a nice young man he is. 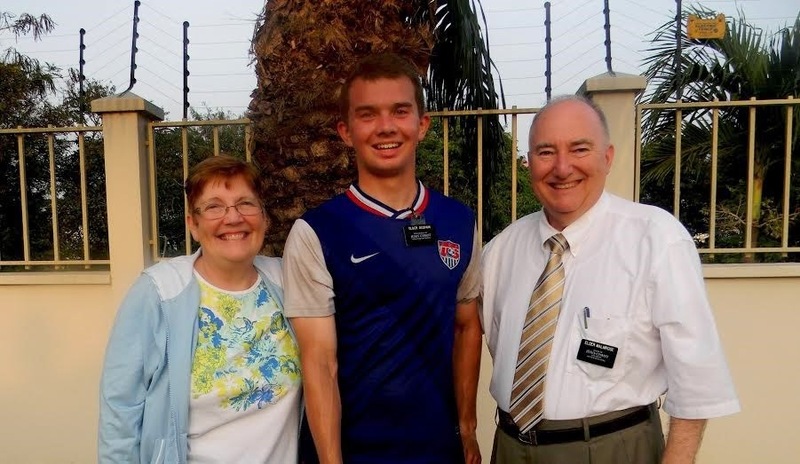 Elder Despain and the Malmroses. 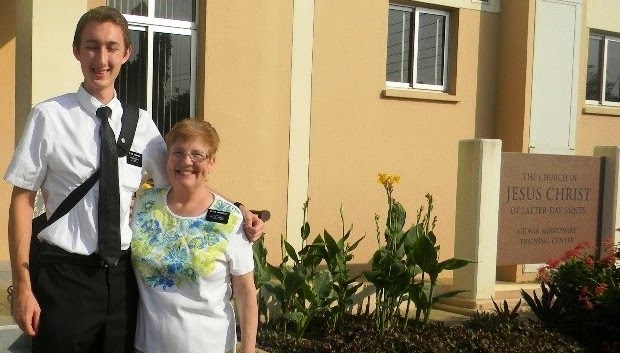 I was asked to organize the Christmas Eve program with the missionaries only. 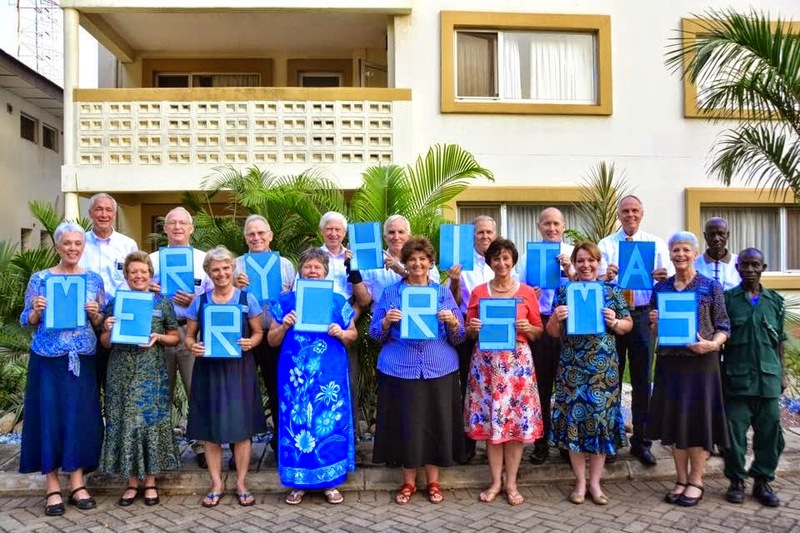 We already had big plans for some of the senior missionary couples to come to the MTC on Christmas Day, so this would be our “family” celebration with our own missionaries. I talked with the different districts and asked them if they would participate in the program. They were enthused to be part of their own program. So I assigned each district a Christmas Carol and asked them to practice it. I also gave them some background on that particular hymn. 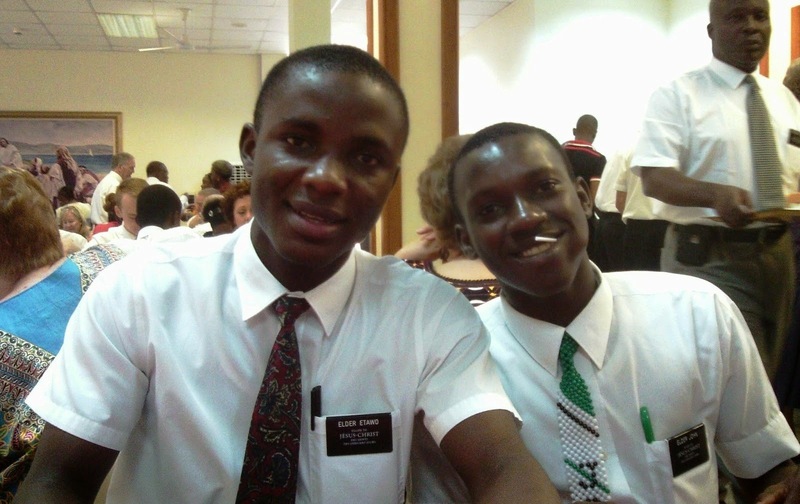 I even had one of the elders ask me if he and his friends could do “Oh Holy Night”. I said, “sure”. A few days later, I went around and had them all sing for me to make sure they were ready. They did a good job, and I thought it would turn out OK. The night of the performance, I gave the introductory remarks and then let each district take their turn. There was a sweet, reverent spirit in the room for the whole program and I was very pleased with their love and enthusiasm for the Christmas hymns. Gerald and I, along with Sister & President Robison, sang a quartet of Silent Night, and the congregation joined in as the closing song. I was very happy with how it all turned out on that special night. They did so well, so we asked them to sing again during the Christmas Day celebration with the couples. 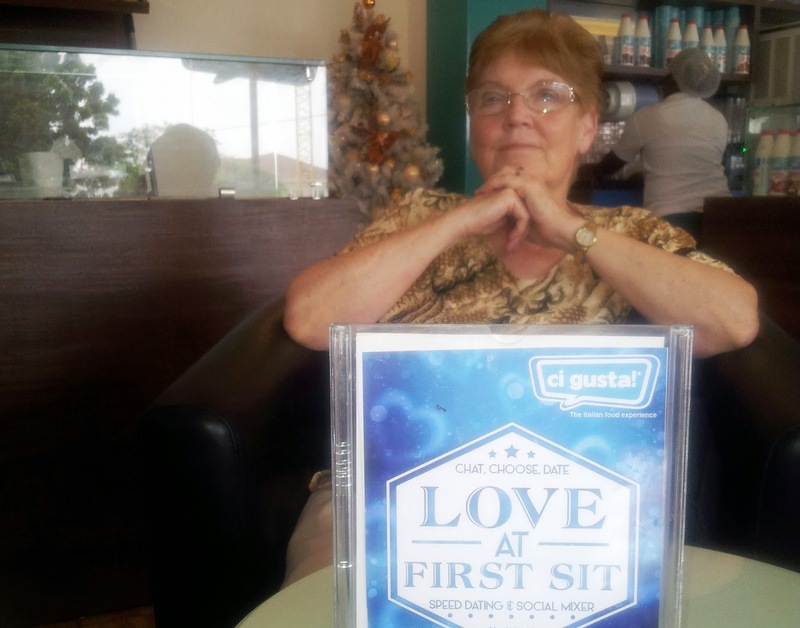 On Christmas Day, all the couples arrived to join us at lunch. It helped us to not be so homesick, to be away on Christmas. They are such nice people and we really enjoyed being with them. 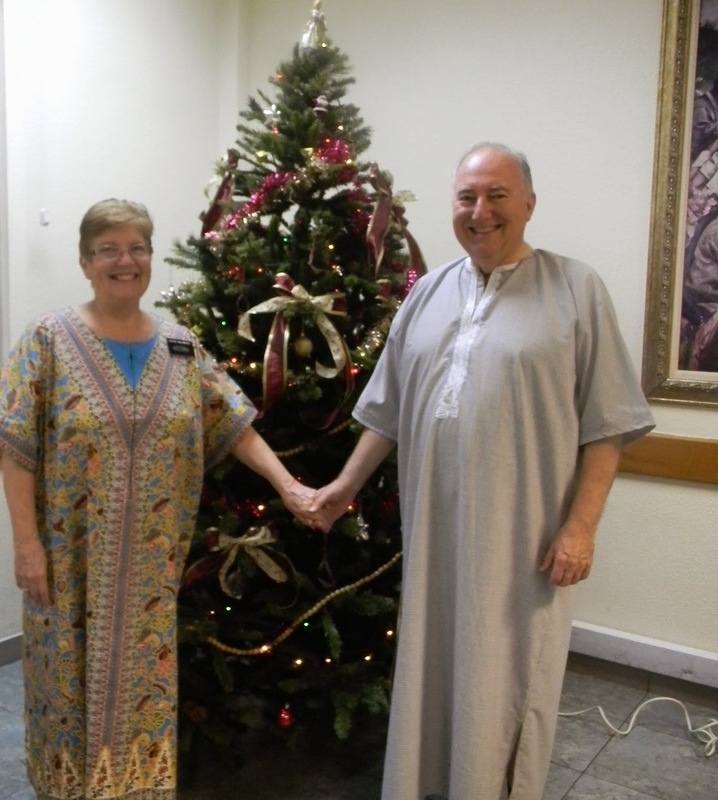 We decided to wear traditional dress for the festivities. 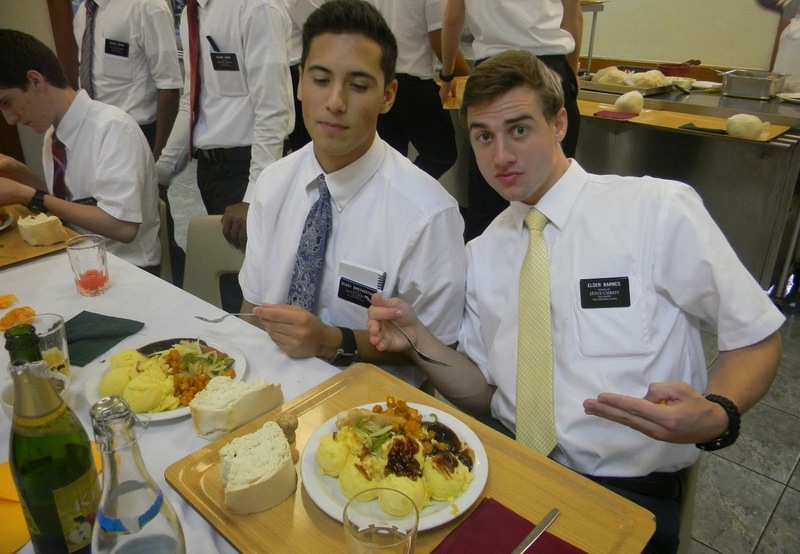 It was pot luck style, but the MTC furnished the chicken, gravy and rice and they brought the rest. Especially good is the homemade bread that our head chef Margaret makes. It was yummy. This is our cafeteria. 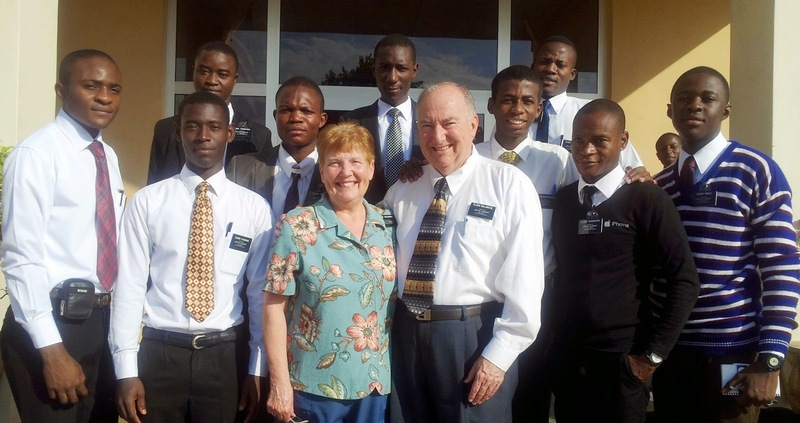 The elder on the right has one of the neat beaded ties they wear here. 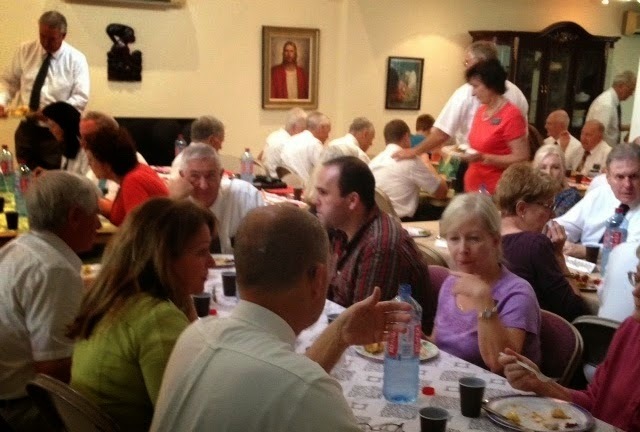 Oh, and yes, that is the back of my head on the left behind the elders. I got a haircut just in time it seems. 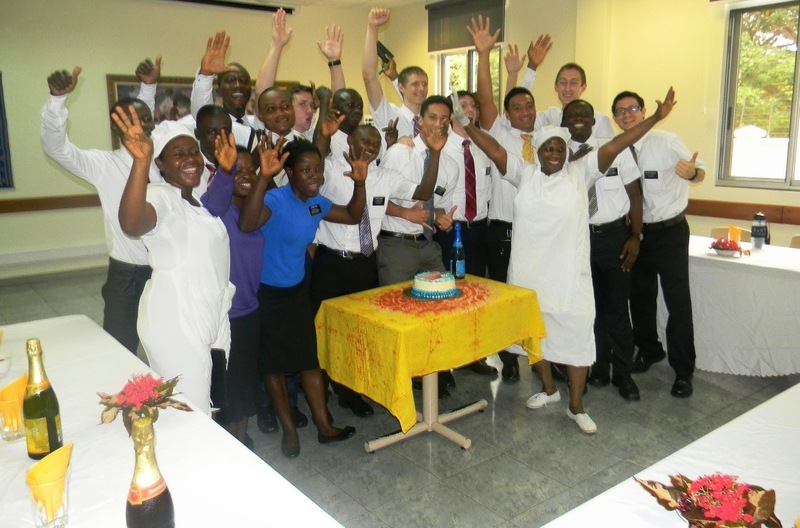 After eating our lunch, they asked Elder Malmrose to share memories of his father, whose birthday was 100 years ago to the day. He presented the song that his dad had played every year that Gerald could remember. He danced and lip synced to “My Birthday Comes On Christmas”. Everyone really had fun with his presentation. 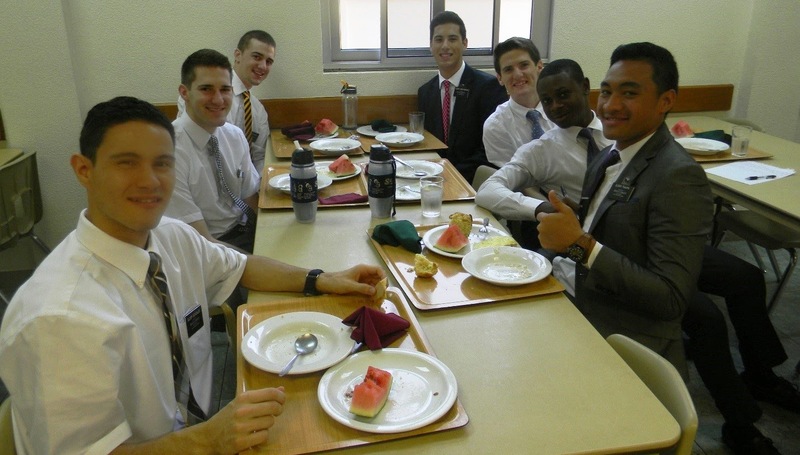 I don’t think I have ever heard our missionaries laugh so hard and clap so loud. This may become an annual tradition. We put it on the blogspot for the whole world to enjoy. 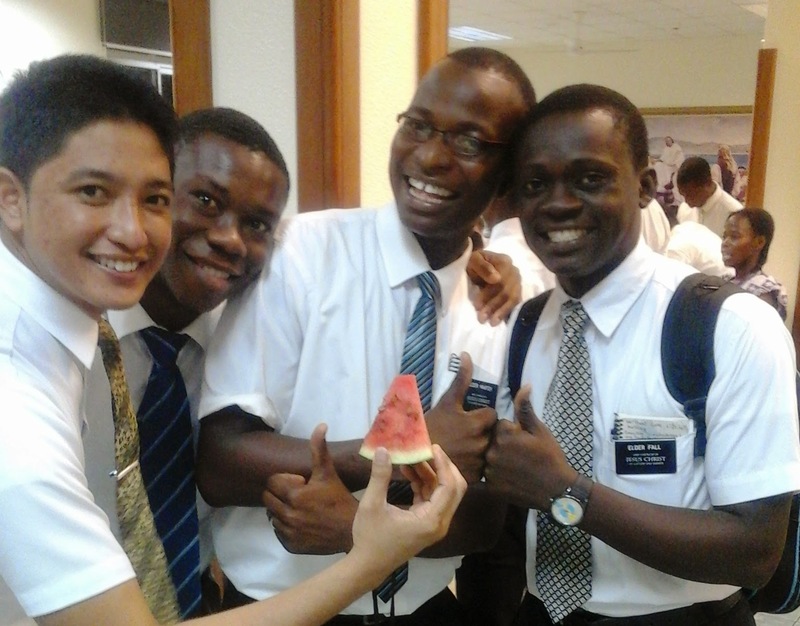 Each young missionary was given a little Christmas gift and were they pleased! They really appreciate being remembered. Here are some pictures of some of the great folks we work with every day. What beautiful smiles they have, don’t you think. We are working very hard, but we are enjoying it. Just so you don’t think that we work all the time, we do occasionally get a break and do a little sight seeing. There really are some interesting places to go to visit here, and we hope to get a chance to see more of them, as time goes on. Since we don’t drive here, for many reasons, the Robisons are wonderful at taking us places. Here are a few pictures of one of our little excursions. 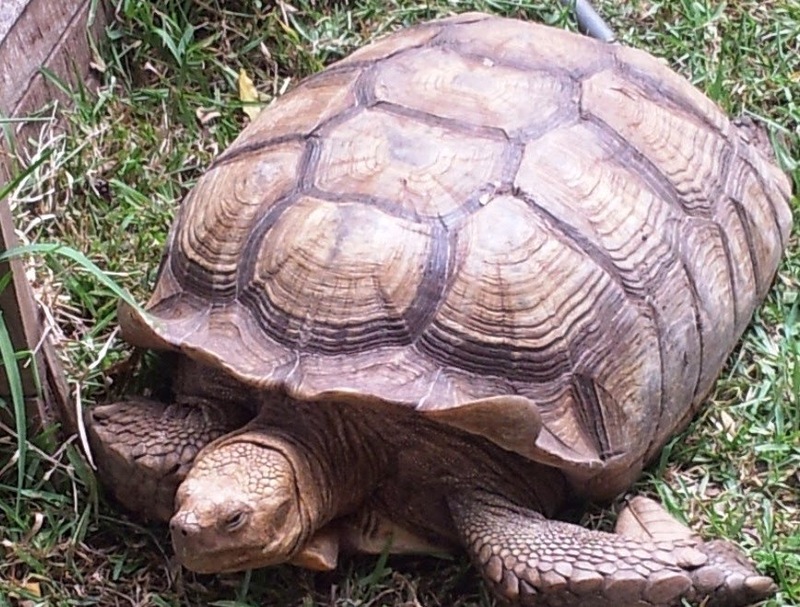 Sometimes we move at a very slow pace, but we try not to monkey around too much. 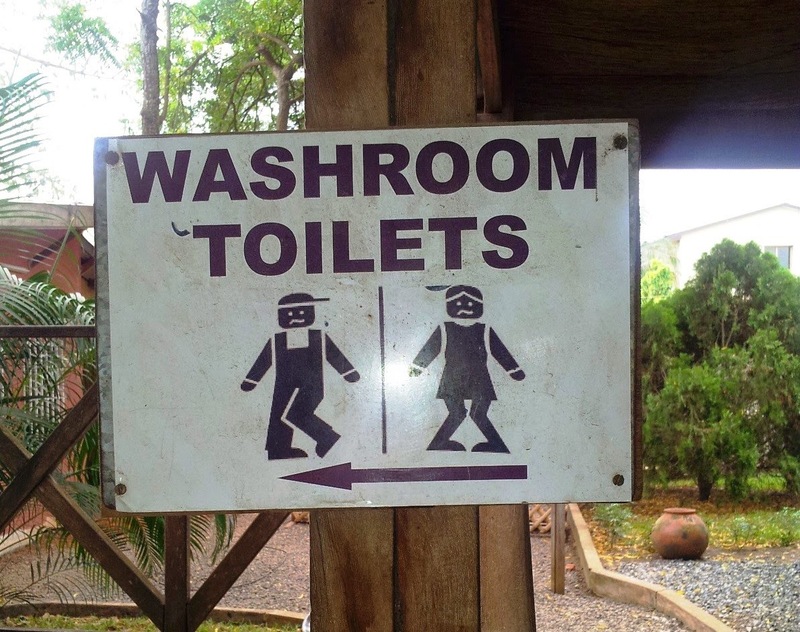 Even the restroom signs are unique here. They really dress up nicely for special events here. The ladies are usually in beautiful dresses and the men in shirts and ties or traditional dress. 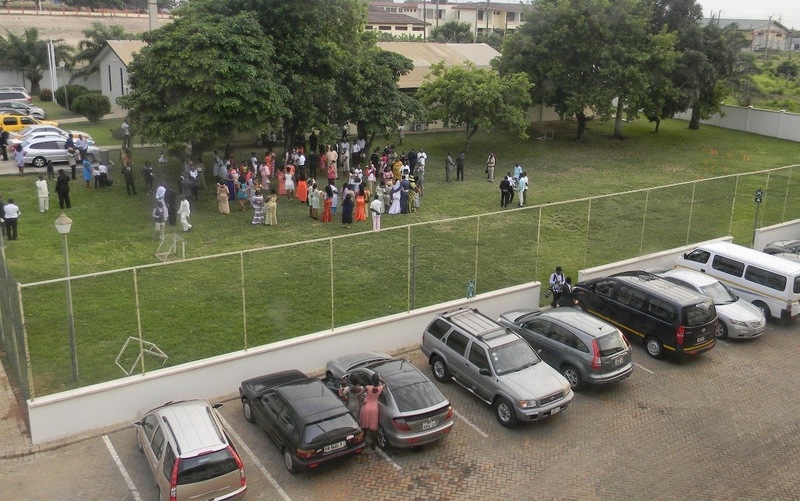 These are pictures of a wedding held at the ward building on the property. Because of the laws here, members must be married civilly and then they have a traditional wedding with the family only and then they may be sealed in the temple, if they desire it. View from out of our kitchen window. We hope that you all had a great Christmas and a happy New Year. 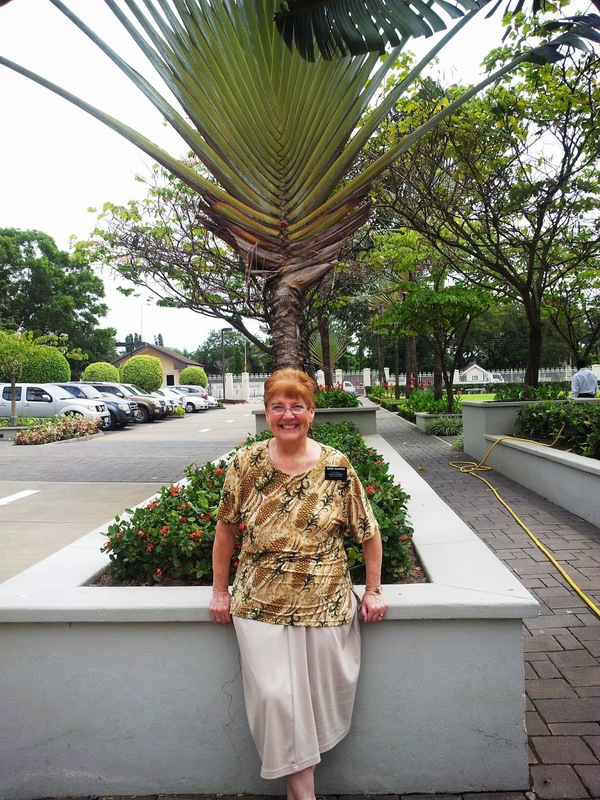 What a wonderful time to be here in Africa as the Gospel spreads across the continent. There are wonderful true stories of the early pioneers in Africa and as time goes on we will share some of those histories. The Lord is truly hastening the work here. 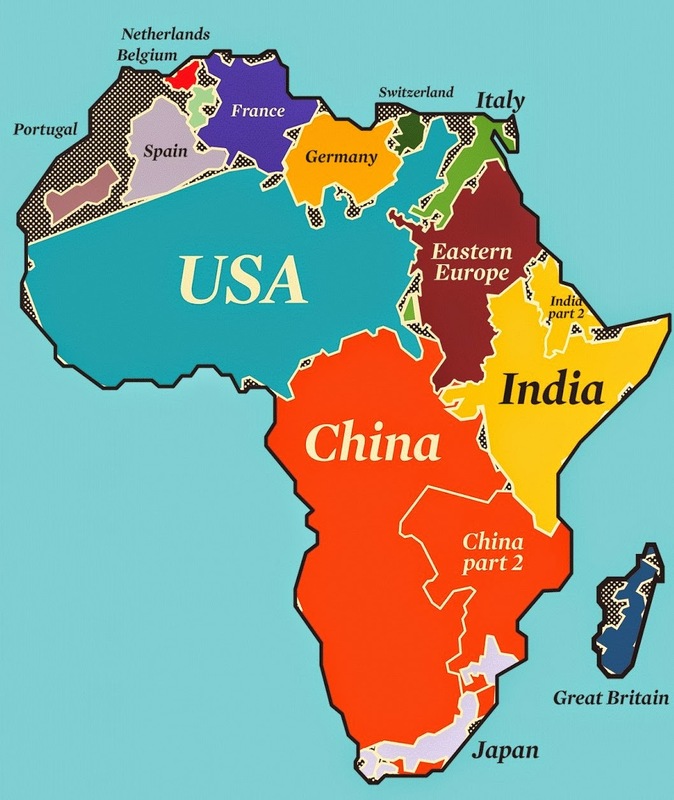 We did not realize what a big continent this is, until we saw this picture. 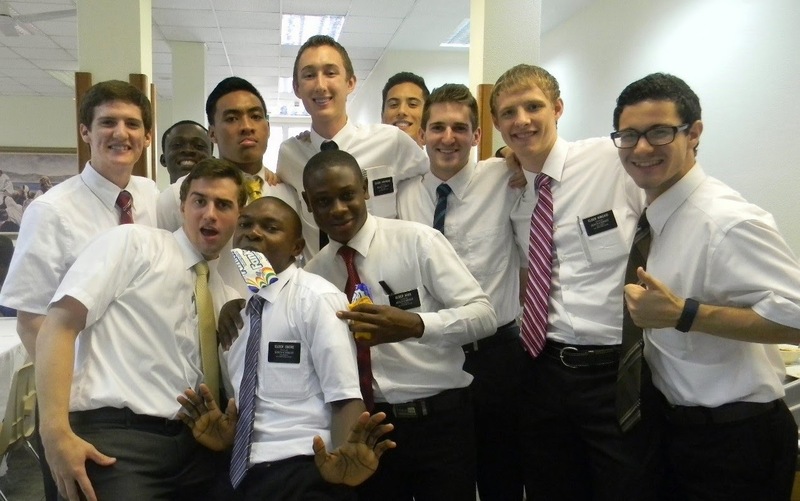 It seems that we just get through the training and other things to get our missionaries prepared, and off they go and we start over again. 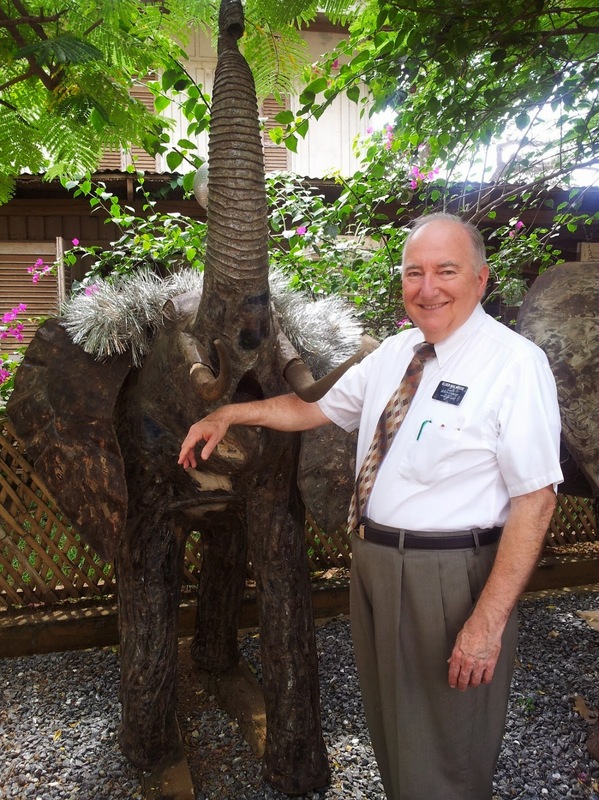 Gerald is very busy with all the technical needs, family history, temple preparation, etc. etc. I continue to help out with their medical needs. 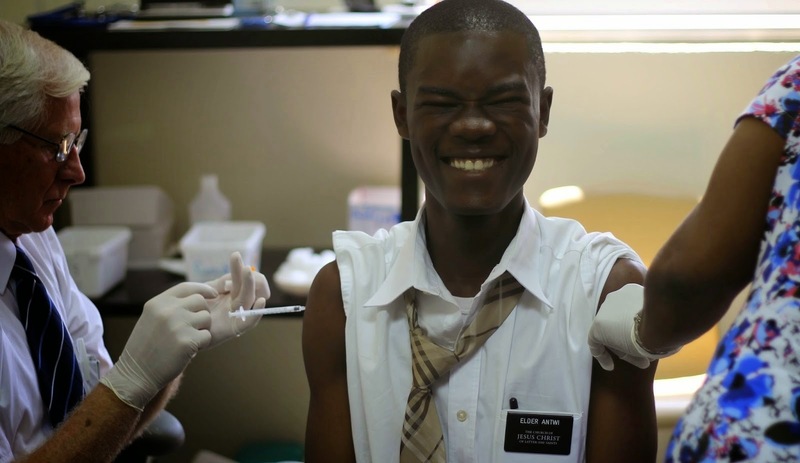 They really enjoy coming to visit us on immunization days. That’s our friend Doctor Hill, doing what he does best. 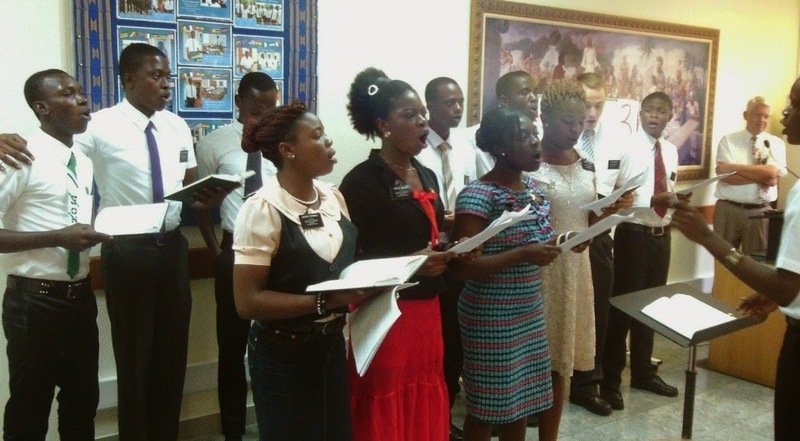 We were asked to get a little group together to sing at the devotional on a Sunday evening. 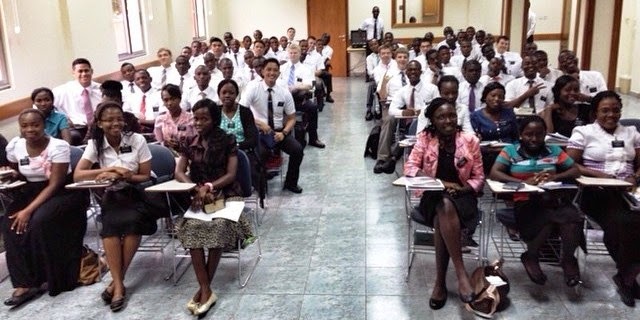 We had attended the French sacrament meeting that morning, and I noticed how enthusiastic they sang “Secret Prayer”. So, when I was asked to find a number for the devotional, I asked the pianist to get his district to sing while he played the piano. Gerald and I did the first verse in English, and then they joined in for the rest of the verses in French. When we were done, the congregation broke out in enthusiastic applause (a cultural thing). They sure make it fun to serve here. 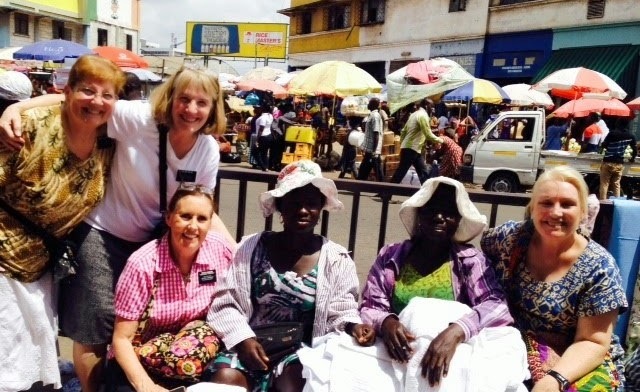 Sister Robison and I, along with two other senior missionary sisters, took a morning off and went to a very well-known open air market in Accra. It was quite an experience. There are so many people all walking around and squeezing around each other. Some of these folks have heavy stacks of goods balanced on their heads. I tried really hard to stay out of their way as we hurried up and down the streets looking in the booths. We all came out OK, but I did get hit with someone’s elbow to my head. It wasn’t bad, but could have been. We were mostly looking for the beautiful dyed material they have here, so that we could make or have made (in my case) clothes. Also, we found a couple of ladies who sell blouses really cheap, so we stopped there and got some. While I was standing by the street and the other ladies were shopping, a young fellow around 12 years old, came up to me and looked me in the face and said, “Salt Lake City, Utah” and then smiled. I looked surprised at him and said, “Are you a member of the Church? He said yes, both he and his twin brother, who also came up to say Hi. I asked him if he was planning on a mission, and they both said yes. Who would have thought that we would meet some members among such a crowd. What fun! 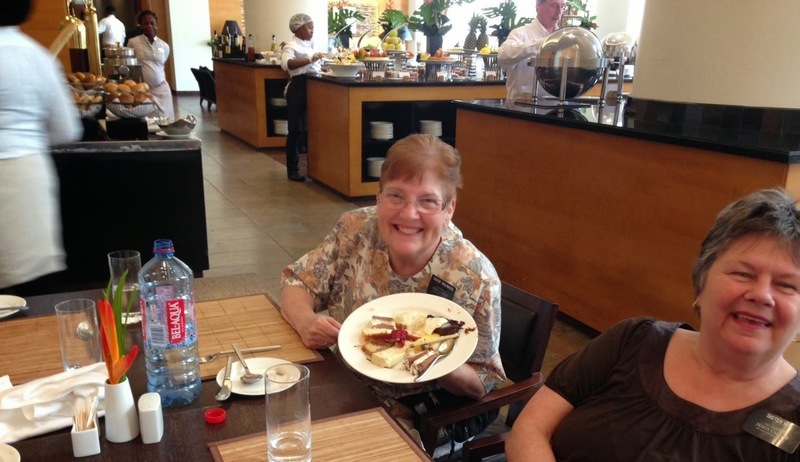 A happy birthday week for our dear Sister Robison. She deserves it! The Elder at the far right of this picture, reminds us of Noah with some of his expressions. Both Gerald and I noticed it separately. Maybe he’s a long lost relative or maybe we are just homesick. Since November is our Thanksgiving holiday month, we did celebrate it here with the other senior couples. We had a nice potluck dinner with turkey, no less, and all the trimmings at one of the mission homes. 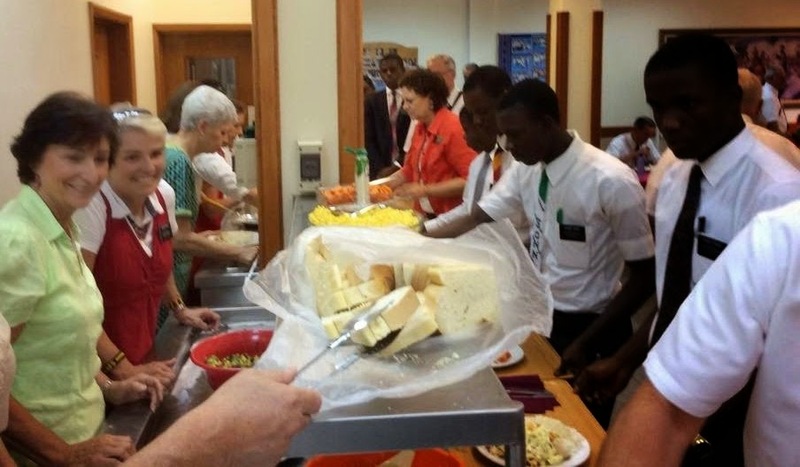 To help our USA missionaries not to feel homesick, our wonderful cafeteria manager Margaret, set a beautiful table with tablecloths, bubbling soda and some of their favorite dishes. 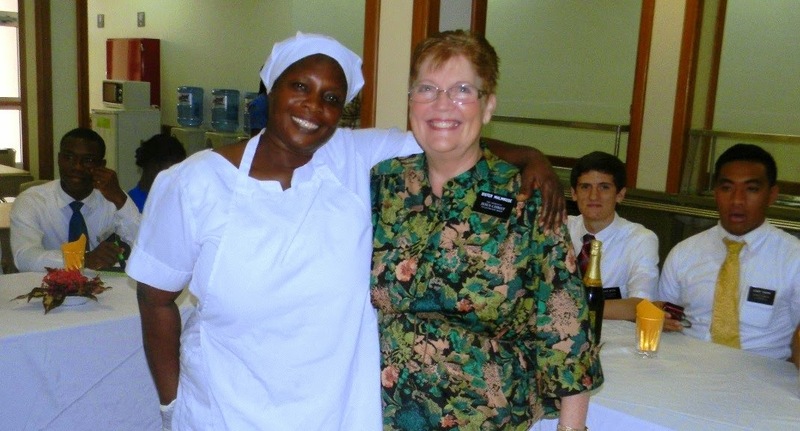 For the Americans, she served them mashed potatoes and chicken and served the Africans some of their favorite dishes. It was neat to see how excited they were. This is the tall and the small of it. And the in-between. 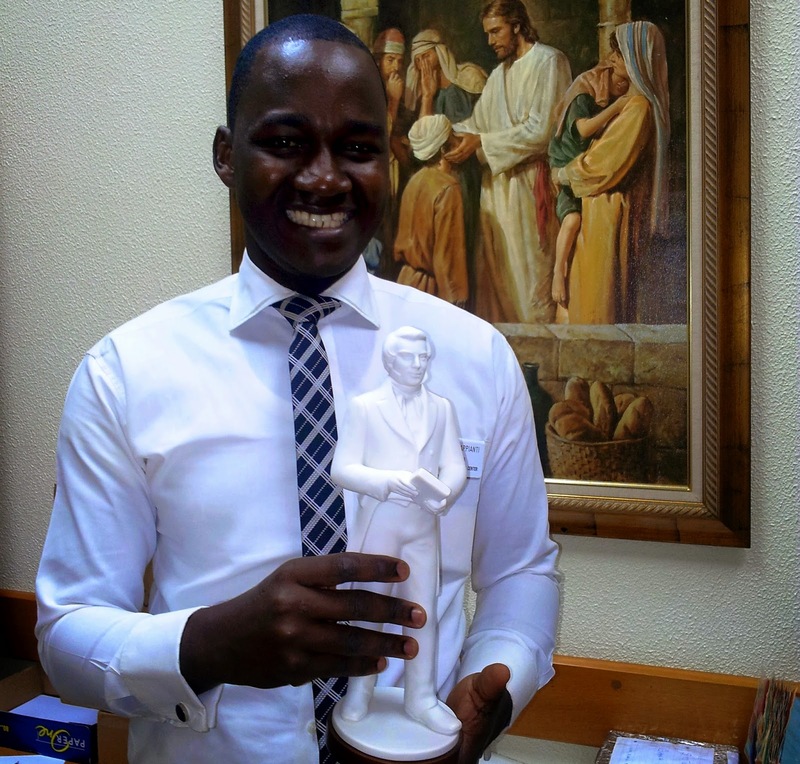 This is Patrick Appianti, who is the chief technology specialist, office manager and supervisor of teachers for the MTC, with his new statue of Joseph Smith. He has been immensely helpful to us. 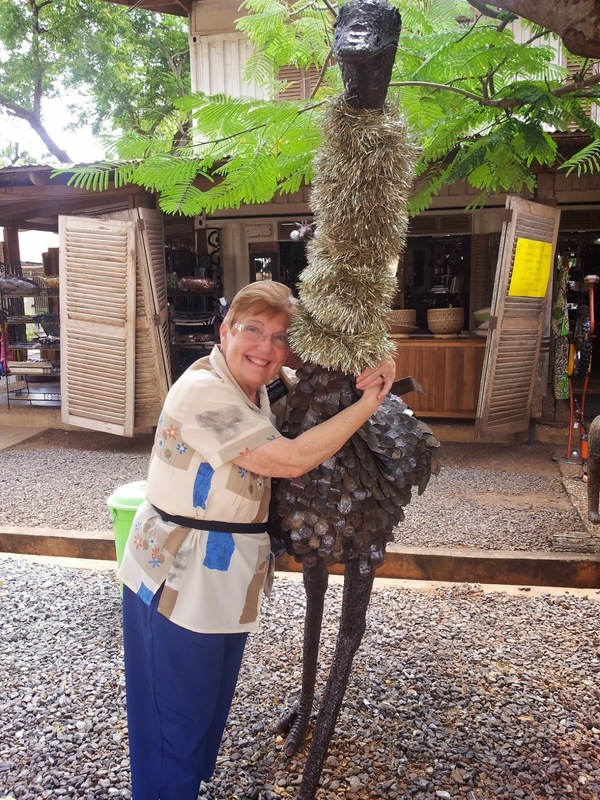 This is Patrick's son with his favorite grandma. 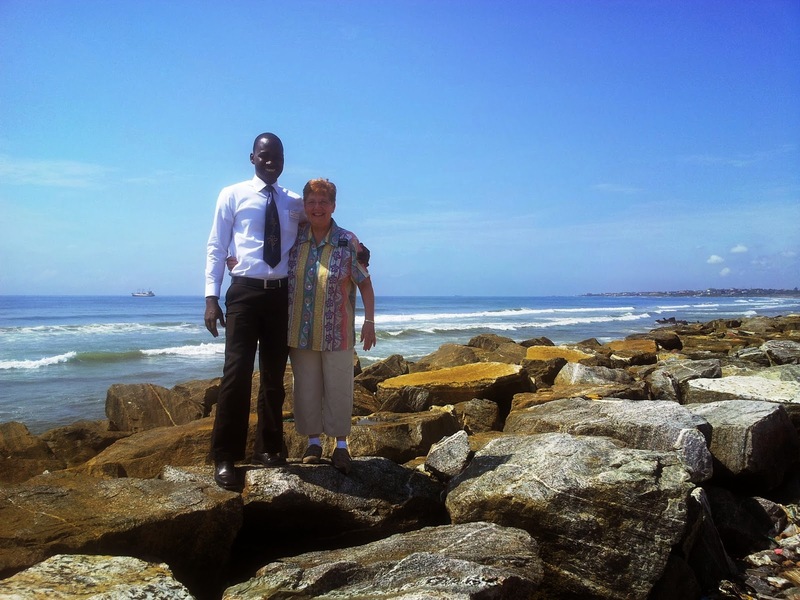 On one of our errand days, Patrick took a side trip so that we could see the beautiful coast line and warm ocean. 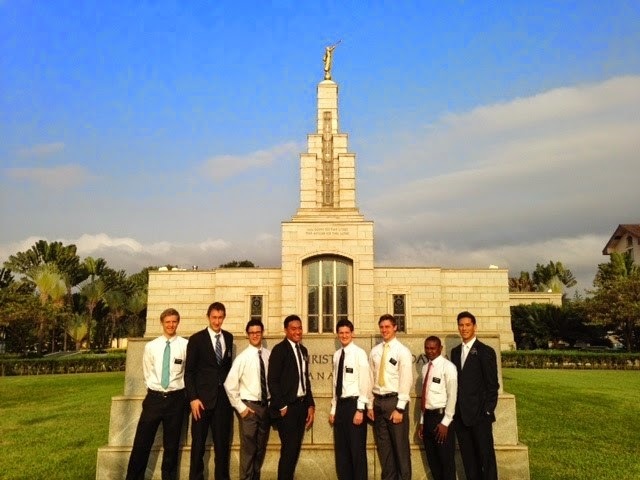 On my birthday (November 18), we decided to go with the missionaries to the Ghana Temple. 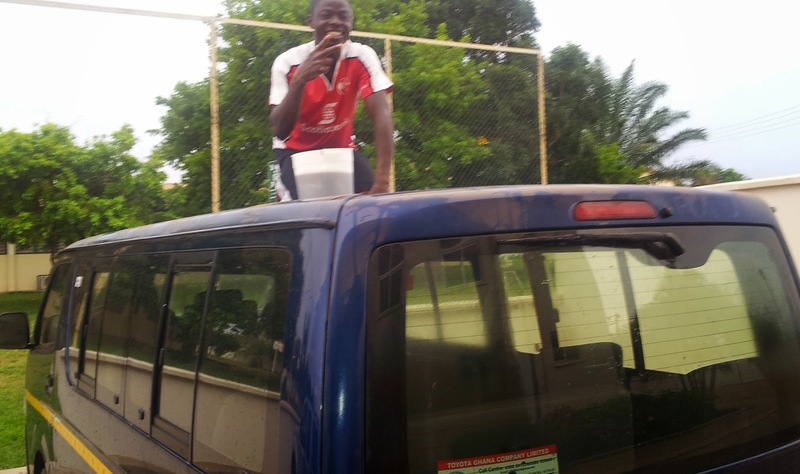 Ishmael Assan is washing the van in preparation for the temple trip. 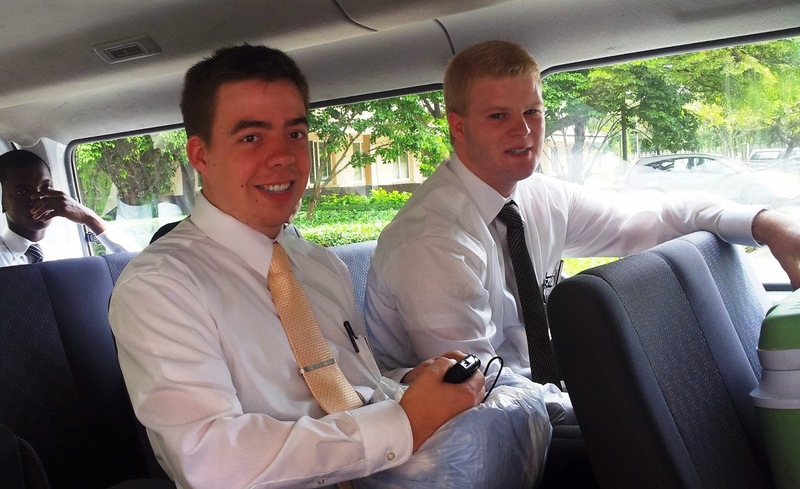 The elder who is on the far side of the van seat is Elder Broadhead. 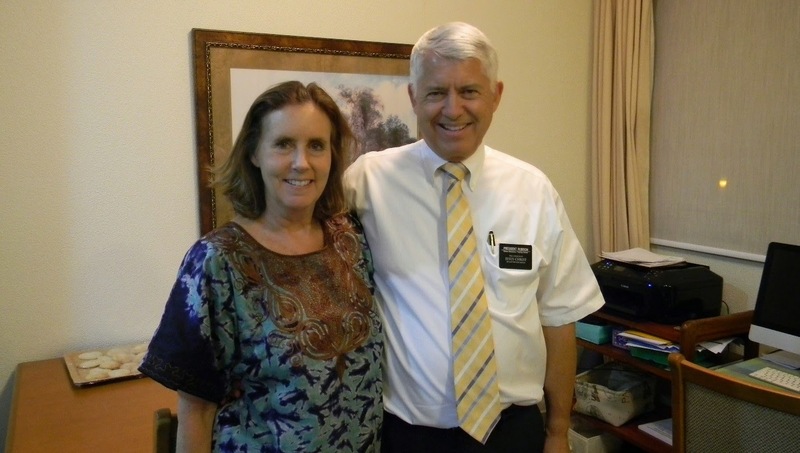 In talking with him, we discovered that he is the great-grandson of Dakin K. Broadhead who was a counselor to our Pasadena Stake President, Howard W. Hunter when I became active in the Church. 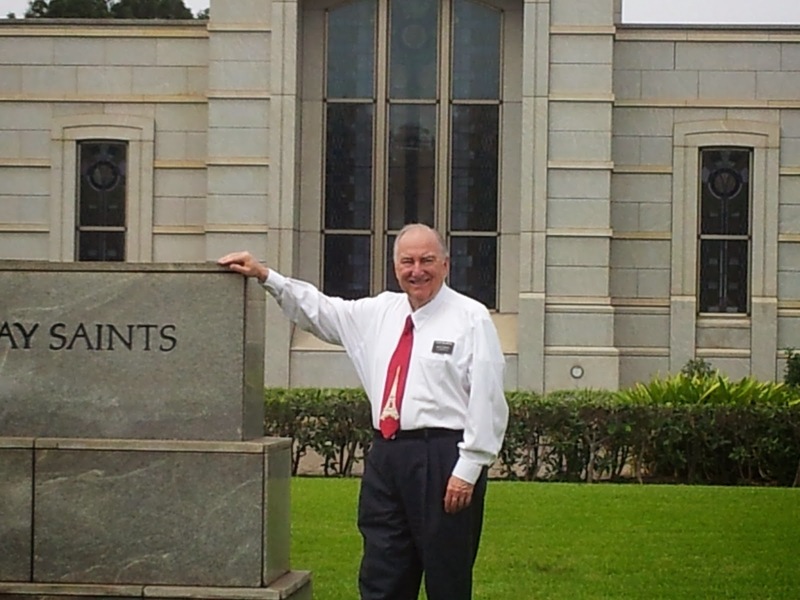 Not only do I remember President Hunter who helped me come back to the church, but I also remember President Broadhead and the other counselor Richard S. Summerhays. 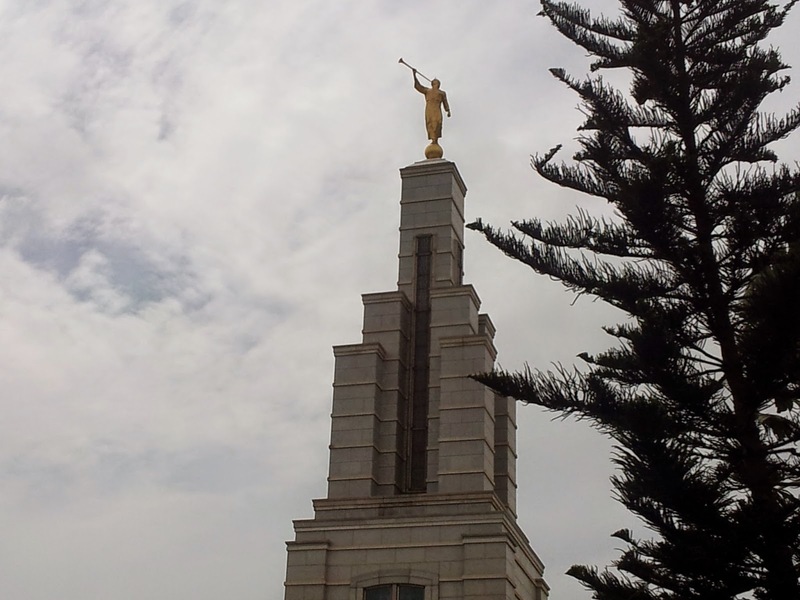 We love this view of the Angel Moroni at the Accra Temple. And she is an angel also. This is a nice place to spend my birthday morning. My Lorna and her Ghanaian hat. 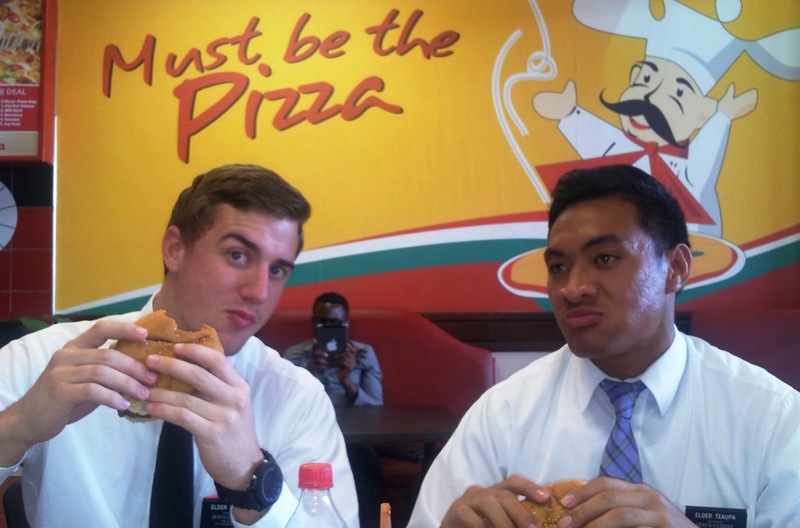 The American missionaries still love Pizza and hamburgers. Notice the background gentleman; almost everyone has a cell phone and/or a tablet. This is the end of November.